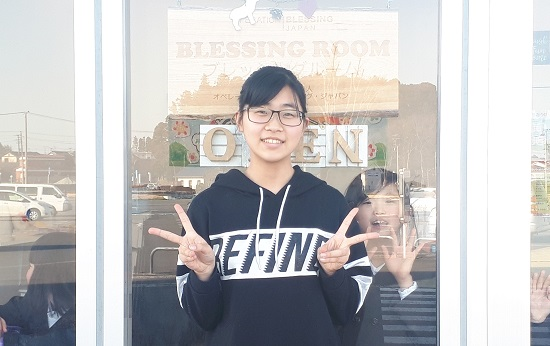 After joining the RISE UP Gospel choir in 2016, Ayaho(16) is now working as a volunteer to support Operation Blessing’s kids program in Fukushima. Ayaho is also from Fukushima – from Minamisoma City, and was also deeply affected by the March 11, 2011 triple disaster. Q: Could you tell us how you got started to join RISE UP Gospel Choir? Ayaho: I really liked singing since I was a kid. One day my friend in high school told me that she went to a workshop of RISE UP and that it was so much fun. That was very fascinating to me, so I decided to join. Q: You have been with the choir for quite a long time. What is it about RISE UP that attracts you? A: I really like the atmosphere. Choir and members are so warm and I always enjoy sharing fellowship with everyone. We all have different ages and abilities, and personality types, but we all sing together. They are like my friends. Q:It’s such a great joy for us to hear that. We are also operating several projects to support Fukushima. You have been joining the kids project, Atelier Hope since this March. Could you share some reasons why you started volunteering with this program? A: My dream is to become a Nursery Teacher and I was looking for an opportunity to take care of kids in my hometown. Then I found out through the Operation Blessing Japan website, that they are also providing various kinds of projects for kids and mothers. 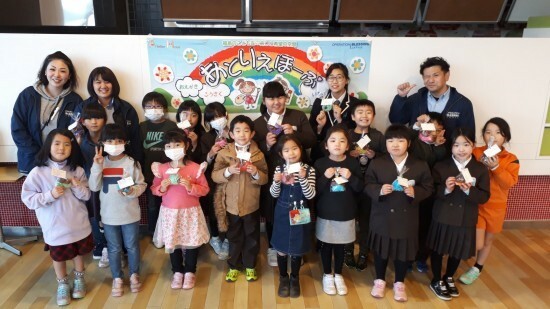 I come the “Blessing Room” when I don’t have school, and volunteer in the Atelier Club, which provides after school care for children 6 to 12 years old living in Minamisoma City. I really love to spend time with children, helping them with their homework and playing together. 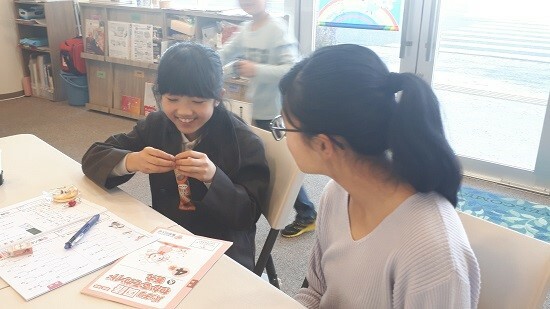 Q:It’s been one month since you joined this club as a volunteer, and it’s so nice to see that you are building a great relationship with kids. What makes your work worthwhile? A: I am learning how empathy is important to relationships. Just telling kids to , “Knock it off” when children aren’t getting along really doesn’t go far in building essential people skills in the children. We encourage kids to share small acts of kindness so as to build mutual empathy. All of them have amazing talents and I like to see them as they change and are growing up day by day. Q:Do you have any message for people supporting Fukushima? A:Yes. It’s been 8 years since the Great East Japan Earthquake, but still there are lots of false rumors and discrimination in against people from Fukushima in Japanese society.Sometimes I’m afraid that people are really forgetting the Fukushima accident as the news of the Tokyo Olympics increases. I’d like them to keep on eye on Fukushima and have a concern about the problems and the hardships we have. Operation Blessing Japan is always working closely with Fukushima and they are reporting the truth around the world in so many vital ways. I really appreciate it and hope to keep participating in their projects to support the future of my hometown.